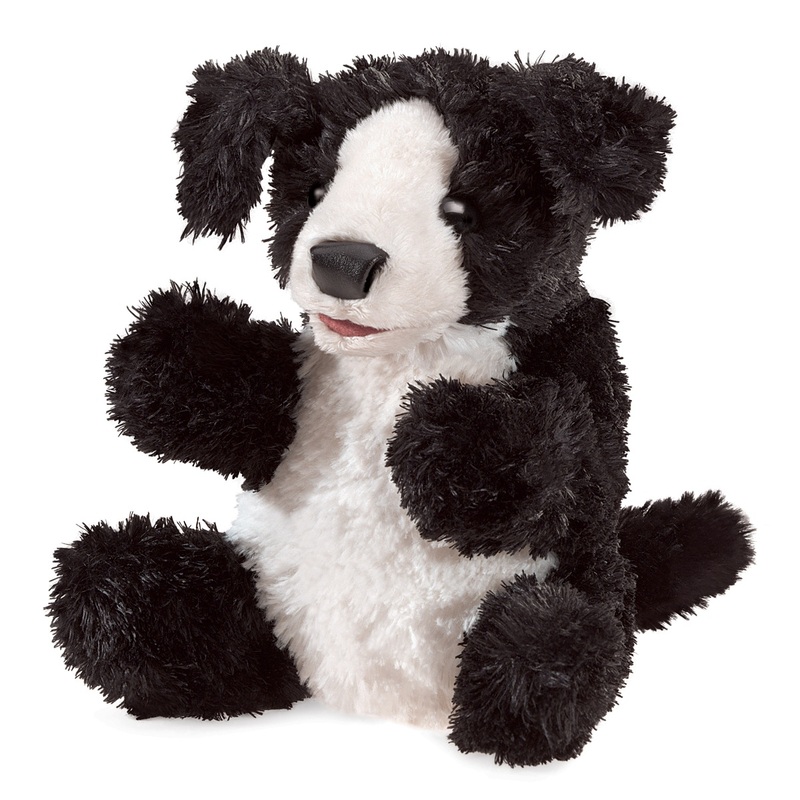 The Small black and white dog hand puppet was released in January 2018. It is 7 inches long, 8 inches tall and 7 inches arm span (17.8 x 20.3 x 17.8 cm). 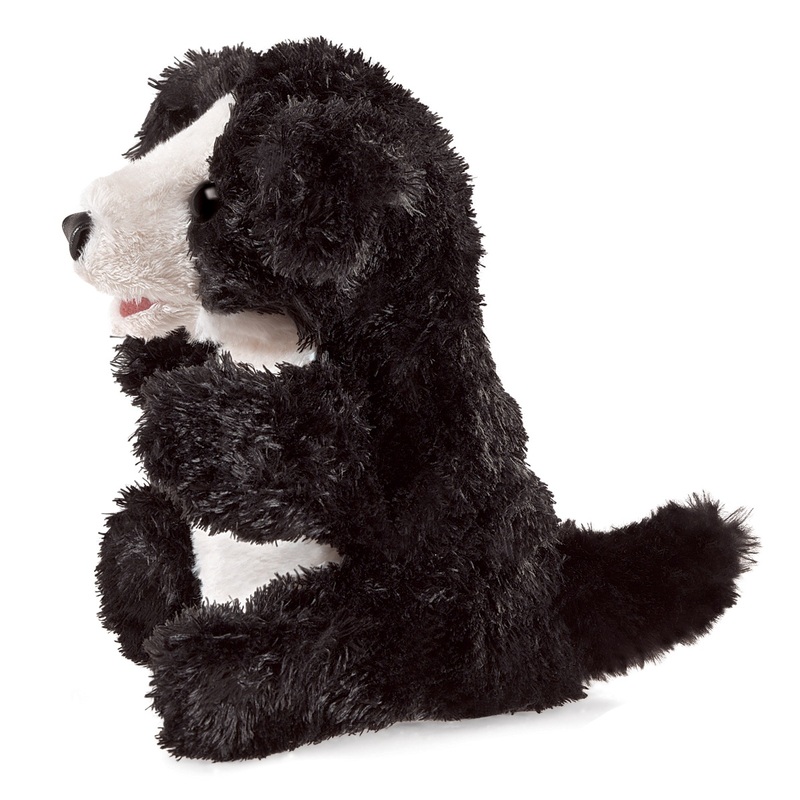 This dog puppet is a black and white puppy dog with movable mouth and legs,. It has super soft fur. You can put your fingers in all four legs. 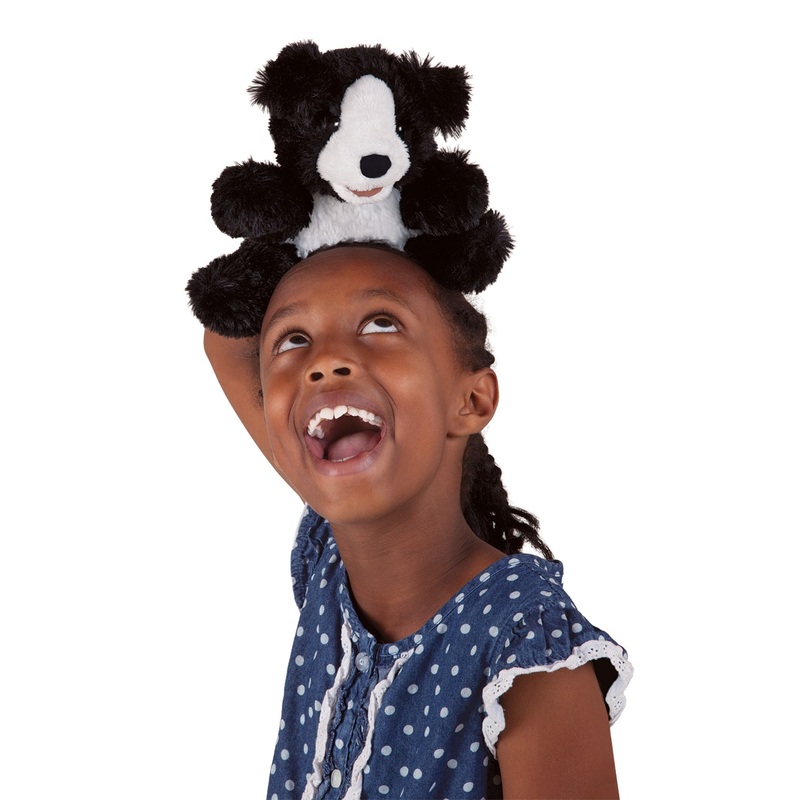 Lucky Dog Puppet by Folkmanis Disc.